The Sarasota County Commission spent approximately one hour and 45 minutes in a “shade” meeting on Jan. 16, discussing strategies with several of its attorneys on how best to resolve issues surrounding a lawsuit that is more than two-and-a-half years old. No announcement came after the board members reconvened in the Commission Chambers in downtown Sarasota shortly before 1 p.m. on Jan. 16. Nonetheless, just the previous day, commissioners made it clear that their frustrations about two legal challenges related to the case have mounted. As required by state law, Chair Charles Hines formally announced the litigation strategy session at the conclusion of public hearings on the board’s Jan. 16 agenda. He said that all the commissioners would be present for the shade meeting, which was to be held in a conference room at the County Administration Center. Other attendees, Hines continued, would be County Attorney Stephen DeMarsh, Deputy County Attorney Karl A. Senkow, Assistant County Attorney David Pearce and County Administrator Jonathan Lewis. 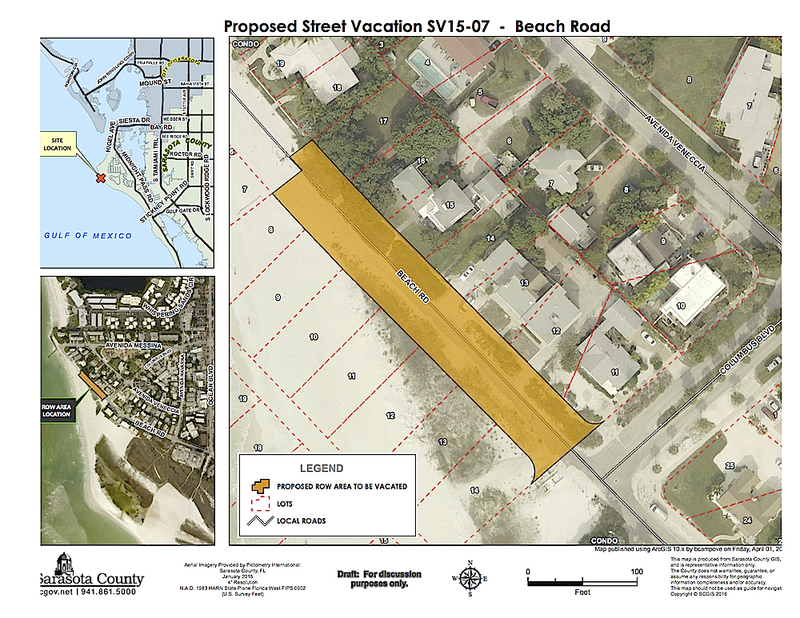 In June 2016, Siesta Key resident Michael Cosentino filed a complaint against the commission, arguing that the commission had violated the county Comprehensive Plan by vacating a 373-foot-long segment of North Beach Road. Only then-Commissioner Christine Robinson voted against the vacation request submitted by three sets of owners of property on both the landward and seaward side of the road. 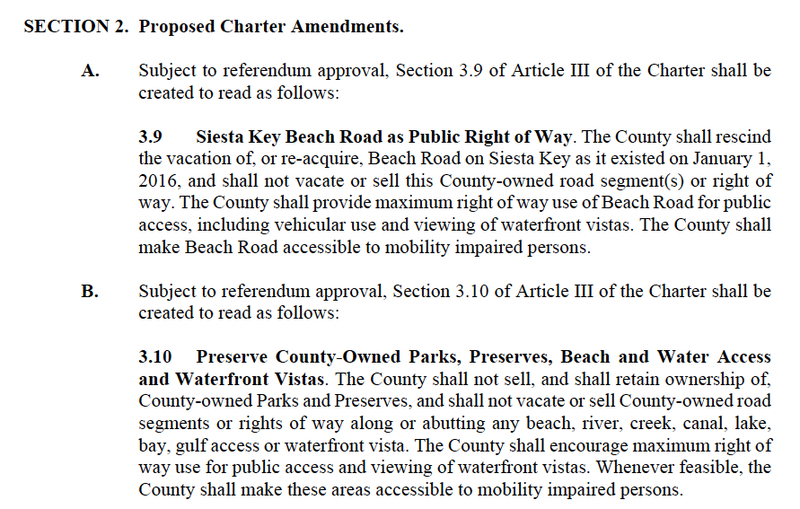 In conjunction with filing that complaint, Cosentino proposed two Sarasota County Charter amendments that would reverse the board action of May 11, 2016 and prevent any future vacation of a road that had so much as a “waterfront vista,” as the proposed amendment put it. He had to gather close to 14,000 voter signatures on petitions for each amendment to get the measures on the Nov. 6, 2018 General Election ballot, but he and supporters were able to do so. As a result, the County Commission voted on Aug. 29, 2018 to place the amendments on the ballot. Although a 12th Judicial Circuit Court judge last fall dismissed the final count of Cosentino’s February 2017 amended complaint against the county, Cosentino has appealed that decision. The most recent document involving that litigation — dated Jan. 11 — is a request by Cosentino’s attorney, Lee Robert Rohe of Big Pine Key, for the Second District Court of Appeal to grant him a second extension on the filing of his initial brief in the case. Last fall, the court agreed to hear the appeal. In his Jan. 11 brief to the appellate court, Rohe also explained that he is the sole attorney for Cosentino, and he has “numerous obligations and deadlines regarding other pending cases.” Thus, Rohe asked the court to allow him until March 22 to file the initial brief. Rohe filed his first motion for an extension on Dec. 5, 2018, and the Appeal Court granted it on Dec. 7, 2018. As of the afternoon of Jan. 16, The Sarasota News Leader found no record in the Appeal Court case docket of a response to the latest request. 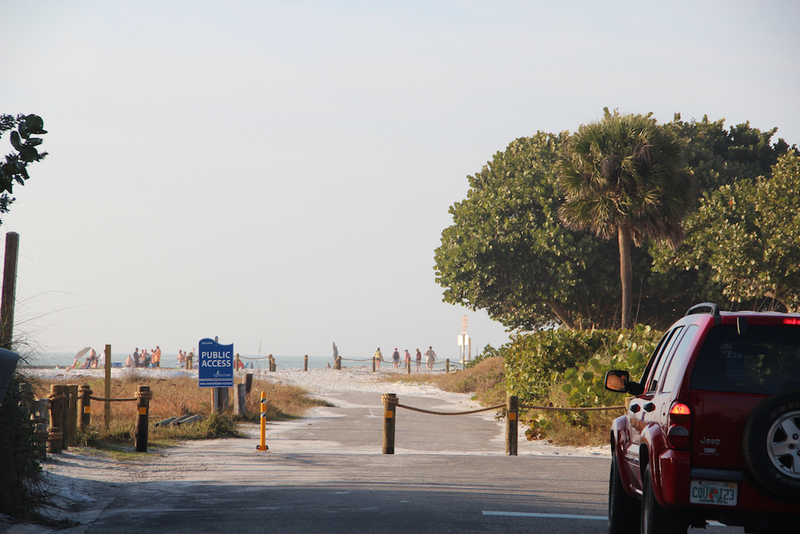 The “developers” are Dennis and Wendy Madden of Siesta Key, who were among the petitioners for the North Beach Road vacation. On May 11, 2016, they also won County Commission approval to tear down 12 dwelling units on the road that date back decades and replace those structures with one building comprising about half as many new units that will conform to modern building standards. They needed to combine the square footage of their lots seaward of the road with the square footage of their parcels landward of North Beach Road to meet zoning requirements for the construction they propose. As part of the road vacation request, the Maddens and their fellow petitioners agreed to give up their rights to build on the property they own seaward of North Beach Road, even though the beach has continued to accrete in that area. 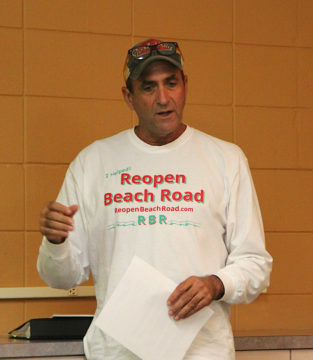 Cosentino has argued since the summer of 2016 that the commission should pay for the stabilization and repairs to North Beach Road, so it can be reopened to vehicular traffic. He contends that, based on the 2013 engineering study the county asked Taylor Engineering to undertake, the repairs would not cost much more than $2 million. Conversely, Thai Tran, a longtime county transportation engineer, testified in a deposition that the expense likely would be at least $7 million. North Beach Road has been closed to motor vehicles since 1993, according to testimony during the May 2016 public hearing on the vacation petition. Signage points out that the road segment is open to the public — for walking and biking, for example. Only motor vehicles are prohibited. Bollards placed at either end of the vacated area in January 2017 are designed to keep motor vehicles off that part of the road. While Cosentino’s original lawsuit is on appeal, the two related cases pending in Circuit Court involve the Charter amendments. Both were filed by property owners on North Beach Road who were parties to the road vacation. The Office of the County Attorney has argued in responses to those challenges that the amendments are not legal because of ambiguity and because Amendment 3.10 restricts the county’s ability to transact land deals, in contravention of state law. In late November 2018, Cosentino approached Commissioner Charles Hines during the lunch break of a regular board meeting, asking Hines with whom Cosentino could talk about settling the litigation. Hines relayed that request to his colleagues that afternoon. Earlier that day, Cosentino and a number of supporters had berated the commissioners for not abiding by the voters’ will on the Charter amendments. In December 2018, County Attorney DeMarsh requested the shade meeting that was held this week. It would follow a private meeting planned for mid-December, DeMarsh said, when a representative of his office, a representative of County Administrator Jonathan Lewis, Cosentino and attorney Rohe would gather to discuss a proposal Cosentino had made.